I had nearly forgotten about this movie. 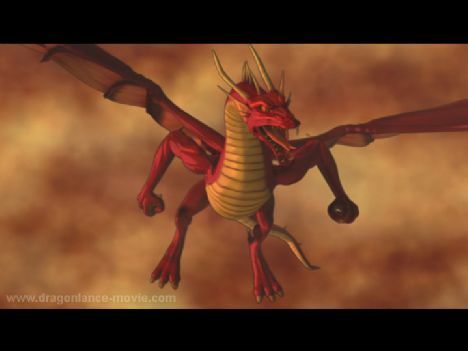 Dragonlance: Dragons of Autumn Twilight is an animated film coming direct to DVD from Paramount. It’s due out January 15th, 2008. They have some interesting people on the voice cast list. Michael Rosenbaum, Kiefer Sutherland, Lucy Lawless, and Phil LaMarr are all in it. Full list is available here. The animation looks really poor. I hope the art I’ve seen for it so far isn’t representative of the final release. I’ve seen better Dragonlance art on calendars.